We have books everywhere in this house - piled on both sides of our bed in the master bedroom, on bookshelves and in drawers in the kids' rooms, on bookshelves in the basement, living room and family room and in boxes in the basement. Don't get me wrong, I love having books all around us, but I would like to get up the courage to toss a few and organize the remaining ones better. Knowing that many of you fellow bibliophiles are in the same predicament, I consulted with Richmond Hill, Ontario-based professional organizer Susan Toth, owner of found-it! organizing solutions, for some much-needed advice. I read it. Will I read it again? I read it and I don't love it. I won't read it again. I never read it, but would still like to. I never read it and never will. Is it worth the real estate it takes up on the bookshelf? "Picture books seem to be a lot harder for people to let go of," says Susan, "but the same basics apply. Do you love it, will you actually look through it again and is it worth the real estate it takes up?" Box up the books in the "donate" pile immediately. Donate new or gently used books to a library or thrift store, or ask your local small book shop if they buy books. Damaged books should go in the recycling bin. Books are designed to stand upright. Stacking them in piles can damage the binding. Try not to overload a shelf or have the books too tight to one another. 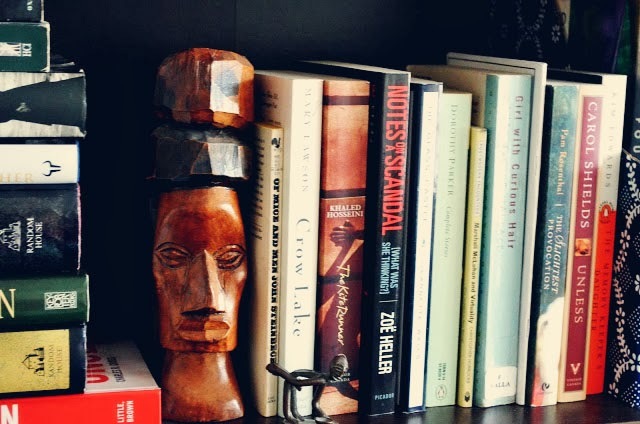 Use bookends to keep books upright when a shelf if not full. 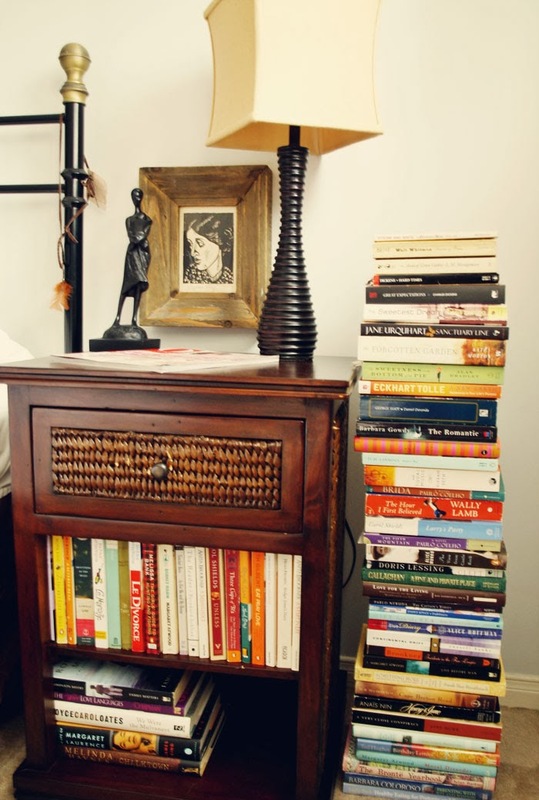 For books that are just too large to fit on a shelf, consider displaying them on your coffee table or desk. If you're not interested in all the special care instructions and just want your books to look neat and tidy, the options are endless. Whatever creative layout you choose, ensure that your display is easy to dust regularly, not just for the care of the books, but for your health too. 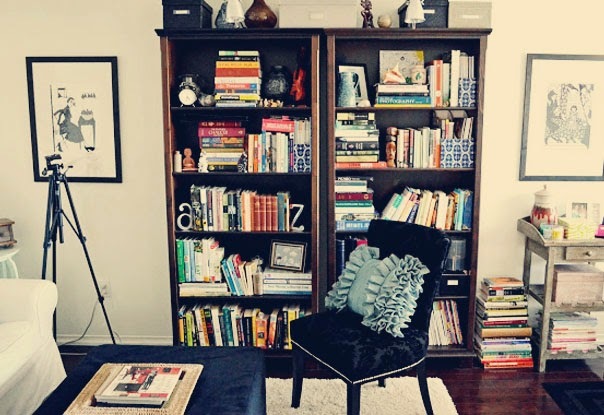 Your books should live in a room where they will be seen and used. Because books are made of paper, which is absorbent, be mindful of the climate in the room. Dampness can cause books to deteriorate or become smelly. If the room is too dry, the glue in your books may dry out and cause loose pages or covers. Attics and unfinished basements are out. If you have a small collection of books that you edit regularly, add a shelf (or shelves) to a wall and create a floating library nook. 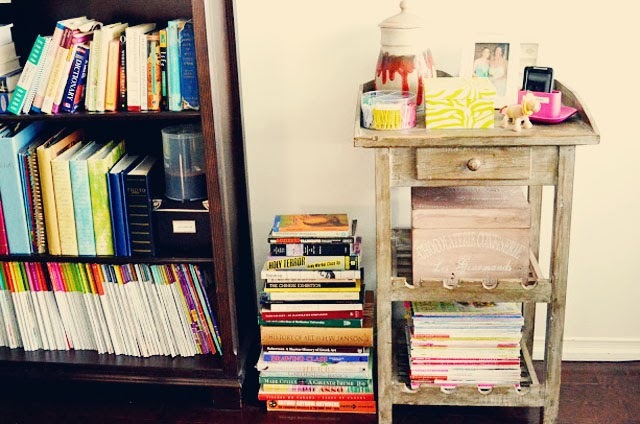 "The best system for organizing books varies from person to person," says Susan. She even has one client who uses the library's Dewey Decimal System. (That's dedication!) Others organize by size, colour, author's surname or subject. "It really depends on what works for you, the book lover," says Susan. "There really is no right or wrong way to organize your books, so take some time and think about how you want to interact with your collection." The book addict always returns to the bookstore. (Believe me, I know!) So, having weeded through our collections, how can we resist overfilling our shelves again? "As with any time you go out window shopping or browsing online shops, you should keep in mind two things," recommends Susan. "First, what is your budget? Second, do I have room for more items?" Susan advises having specific budget categories for items such as books. This way you can keep in touch with how much you are spending on a given category. "This helps keep impulse buying under control because you have to think about it before buying," she says. "We all enjoy the rush that shopping gives us - that mood-lifting, instant gratification, but then we kick ourselves when we get home because now there is even more 'stuff' to try to control. Give yourself some limits. And commit to an annual or seasonal edit of your books to make room for the new ones you'd like to own and read." How about you? How do you organize your books? They are every where. I need to buy more bookshelfs. Great ideas! I used to arrange them alphabetically. Then I moved in with my husband and realized that my book collection is only half of all the books when I used to live with my sister. So now they are just standing upright in our shelf in no specific order. I wish I could buy more books but I already stopped myself because I have soooo many unread books! I swear my books reproduce while I sleep. I think buying more shelving is the only solution for me. I tried doing the triage thing, but I agonized so much over every single decision to keep or donate that I finally gave up. I'm hopeless! I love it! This is brilliant, but what do you do when you live with a hoarder who is convinced that he needs every book he's ever put his fingers on? :) Purging is really tough for us in the book department.. one day we will be swallowed! These are great tips! If you can believe it, I actually like to organize mine by... color! Strange, I know, but I think it looks interesting! Good methods! With 2 English majors in our house, we have a book problem, too. One of the perks of a husband who now serves as a librarian is the new organization in our office/library! Love the tips!! I have over 1200 books and can't imagine getting rid of any! I still buy books on a regular basis (I'm talking between 5 and 30 a month) and I made my formal dining room into a full blown library! It's safe to say I have a problem.